Hope your holiday weekend is off to a great start! I've been relaxing after a long work week, which didn't leave any time for real crafting. 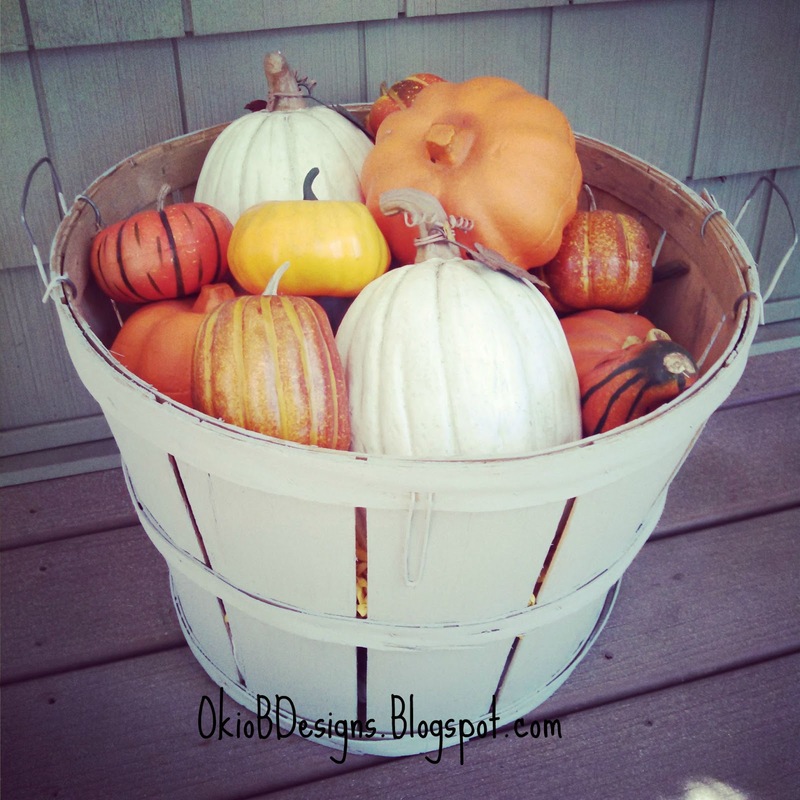 I did manage to arrange a basket o' pumpkins for my porch. The basket is a garage sale find that I painted Paris Grey (Annie Sloan Chalk Paint). 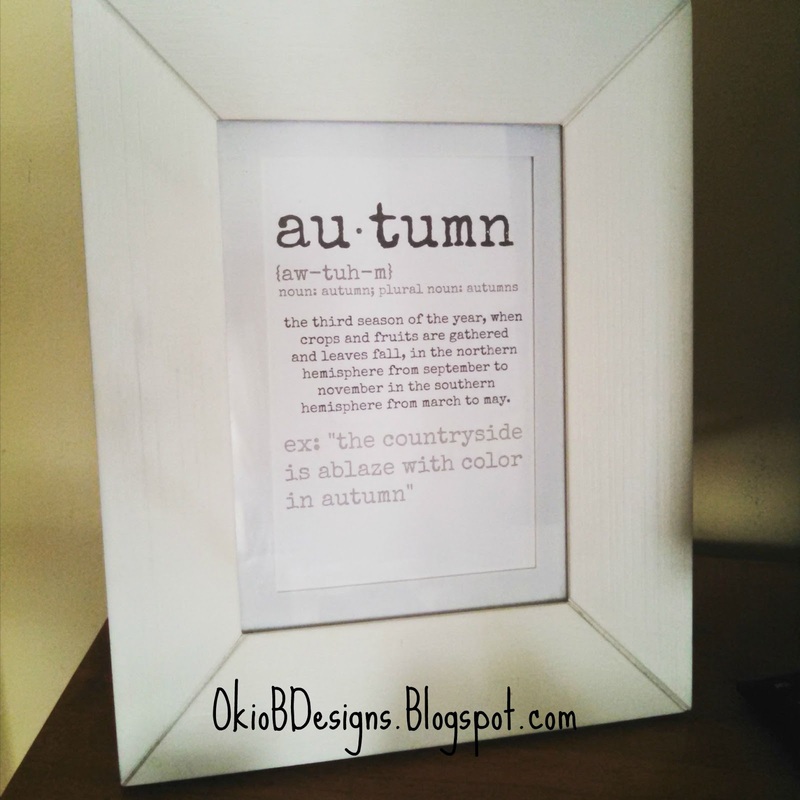 I also framed some autumn printables I found on Pinterest. After that, I decided to reward myself with a little retail therapy. Found this cute Ouija cheese plate and Halloween-inspired candles at Marshall's this morning. 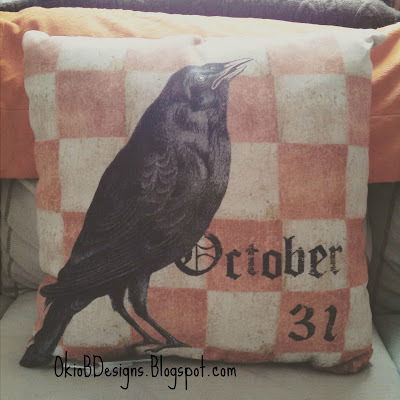 I hit Target yesterday with my boys and that's where I scored this adorable pumpkin pillow. There were only two left! So you better hurry to your local Target before they are gone, if you want one! 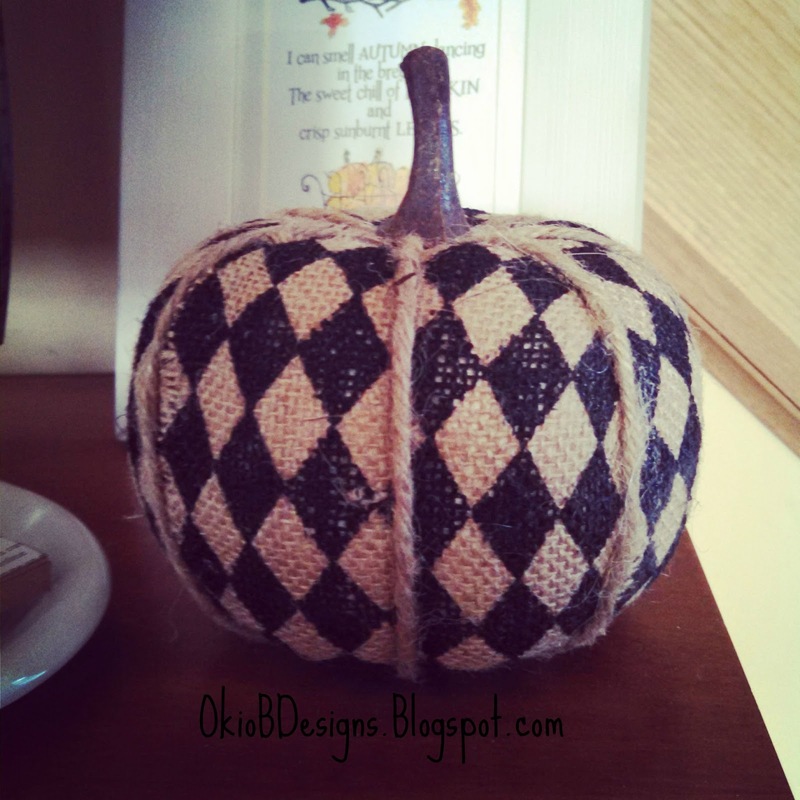 I also picked up two Chevron pumpkins from their DollarSpot. And this pretty landed earlier in the week from Pottery Barn. It's patiently waiting for its debut for Halloween. I'd like to get another one, but I only shop PB when I have a coupon these days. Hopefully, they'll send me another coupon code before they sell out. I love all your great stuff!! 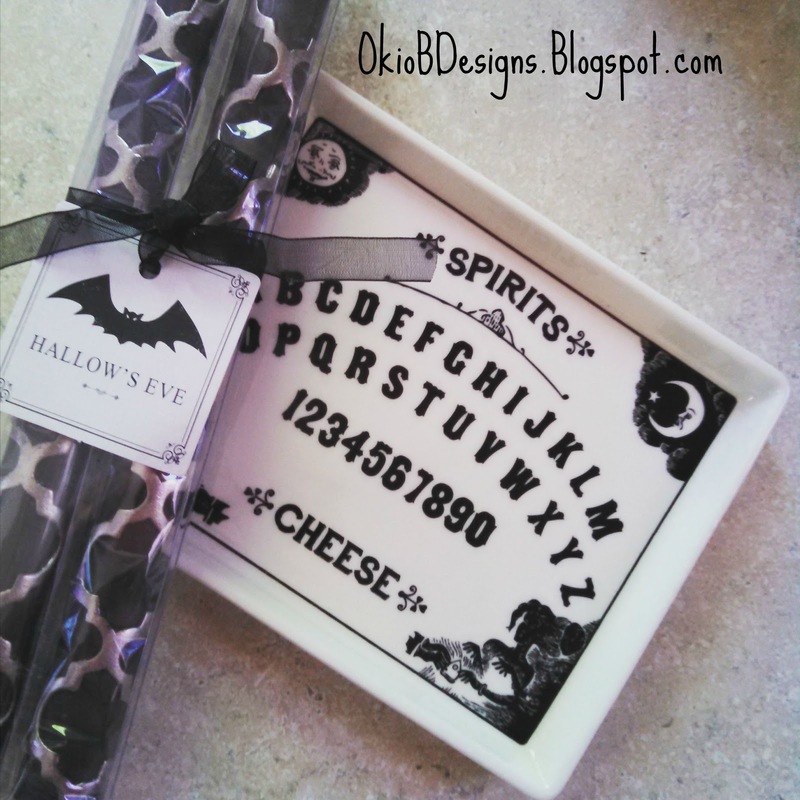 The tray and candles are so cute and I love your basket of pumpkins and fall goodies. I'm the same way about PB..I only order if I have a coupon or free shipping! Love that pillow cover. Love the pillows and your harlequin pumpkin! You've reminded me that I saw a ceramic one at Big Lots last year that I've regretted not buying. I will have to go back this year and see if they have it again. 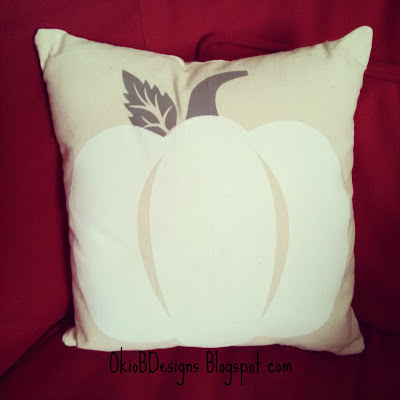 Oh I love that pumpkin pillow. Your decor is always inspiring. Hope you enjoyed a nice holiday weekend.